Merlot is one of the most widely planted and popular grape variety in France and it reaches its true potential when it’s used in Bordeaux wines. Across the globe, this is the 5th most-planted wine grape. It is used to make superlative wines in the Tuscany region; countries such as the US, Argentina, Australia and Switzerland too use merlot grapes in many of their wines. It continues to grow in popularity as a wine grape varietal. This name of this grape has been derived from the word Merle in French which when translated, means blackbird and the grapes’ distinctive dark blue colour matches this moniker perfectly. Some believe that the name comes from the fact that bluebirds have a fondness for this grape. This grape varietal is so popular now, that there is a holiday in its honour; across the world, wine lovers celebrate International Merlot Day on the 7th of November. Merlot grows very well in limestone and clay soils such as the ones that exist in Lalande de Pomerol, Saint Emilion and Pomerol. It is a very delicate and friendly varietal; when it is grown on the appropriate terroirs & harvested at its peak, it produces outstanding wines that are characterized by their voluptuousness and generosity. While most of the Bordeaux wines are essentially blends of 2 or more varietals; many experts opine that the blending is what lends these wines their extra-special dimension. Some select estates in Pomerol produce 100% Merlot wines (Petrus being one of the notable ones). The La Gomerie and Peby Faugeres estates in St. Emilion make wines exclusively with Merlot as well. Wines produced using Merlot grapes have myriad aromas ranging from berries, plum and black cherries to chocolate and herbs. This wine is popular with wine drinkers that are looking for complex, dry red wines. Merlot has low tannin levels which means, it’s far easier to drink than any other reds. It has fruit flavours that are balanced out well with various softer characteristics that make it the perfect accompaniment for lighter foods with subtle flavours that don’t overpower the wine’s flavours. 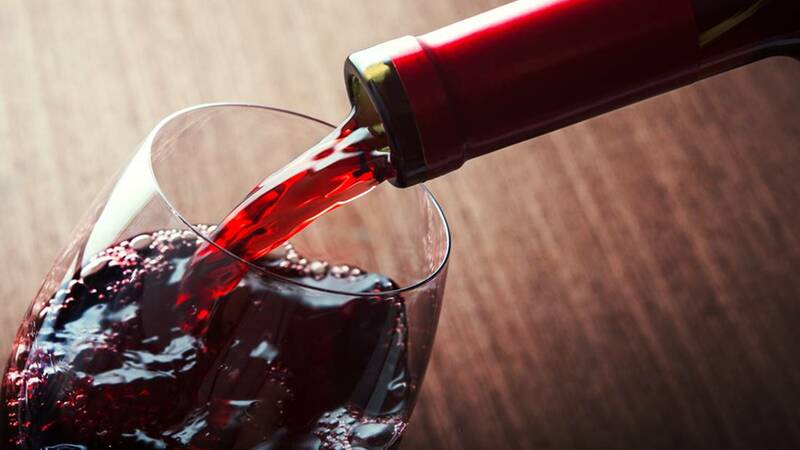 Seasoned wine lovers sometimes opine that these characteristics are actually disadvantages and they feel that Merlot tastes better when it is combined with certain other red grape varieties that are more complex in their flavouring. However, it’s definitely possible to create some very interesting and complex wines from Merlot grapes. White Merlot is typically produced in the same manner that White Zinfandel is; however this particular version of the wine isn’t as popular as the Zinfandel’s blush version. Merlot grapes are first crushed, but the grape skins aren’t left in the juice for too long. This gives you a light-coloured wine that’s its nowhere as deep red in colour as the regular Merlot. Merlot-based wines are ideal for your dinner/lunch table. It has rich flavours & naturally-soft textures that pair well with a variety of foods. You should try to match Merlots with lamb, veal, meat as well as various stewed dishes. Pork, chicken & mushrooms also work extremely well with these wines. If you are adding earthy flavourings and sauces to fish, Merlot will pair well with it too. In fact, these delicious wines are ideal accompaniments for various cheeses too.